This entry was posted in Rescued Dog and tagged #dog treats, #dogblog, #dogpark, #dogs, #rescueddogs, #rescuedog, Uncategorized by admin. Bookmark the permalink. Yup you just have to make the most and best of a bad day, when ever it comes. Now sounds lie you have a great fun spell ahead, and plenty of scope to get extra treats at the movie, maybe a hot dog too? Whatever happens have a great time. Oh I love the idea of a movie in the park! Make sure you take extra treats Layla! Aw Lucy and CJ are cute! That’s so funny that CJ tries to pick your mom’s pockets. Our city does movies in the park sometimes in the summer but so far we’ve never gone to one. I’m not quite sure whether or not my boys would behave themselves or not. They get bored when we watch movies at home so I’m afraid they’d get bored and just spend the whole movie trying to play with everyone. So, did you get treats from your mom when you worked on her? Did you like the movie? I saw it a on video and thought it was funny. How nice that you had some sun and were able to get to the park and see friends. We have had lots of rain and gloomy skies as well. Hoping for some sun today so we can go for a nice long walk. I remember that SF weather! Brrrr… Looks like you’re keeping warm with those good snuggles with your human and doggie friends. I hope the Saturday BBQ yielded you some yummy snacks. Better hand over those treats, Ma! 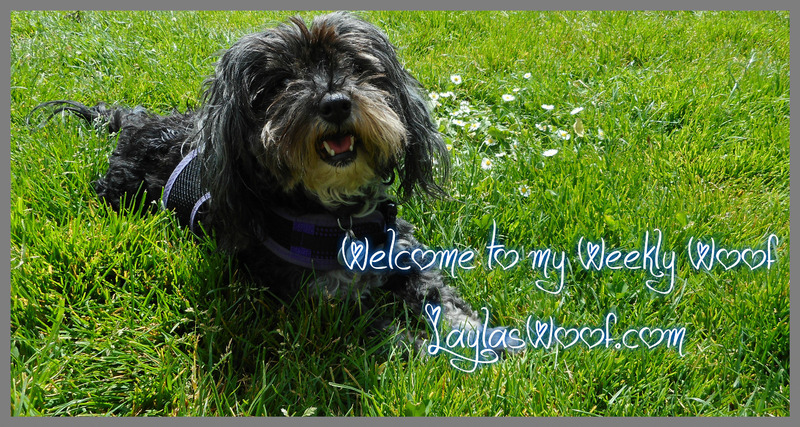 Layla is a most deserving pup, seeing as how she brings you and all the park friends so much joy & laughter! We are so jealous of the cooler weather you’re having in SF, we are not so lucky here on the East Coast. Two great days then several days of awful hot & humid weather, that’s the recent pattern. Our adventures have returned to our neck of the woods. After Cookie’s ditch was dried out for what seems forever, finally we got some decent rain and her favorite activity has resumed. I hope you enjoyed the movie in the park! I love Best in Show, and I think it would be extra fun to see with lots of dog lovers and their dogs! 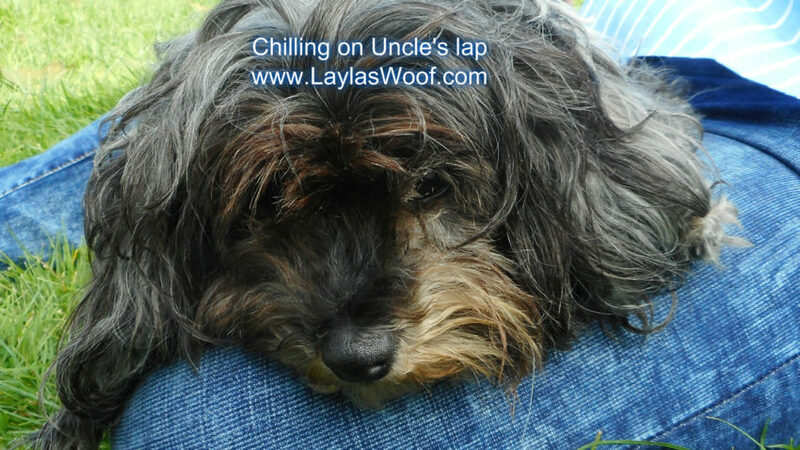 Sounds like a cushy gig, Layla! Maybe show keen on the outings and you’ll get your pay rise!? Enjoy the movie and BBQ. Good luck with the negotiations! I remember attending a conference in San Francisco in August several years ago and was shocked at how cold it was! I had to go shopping to get some warm clothes. Have a great week! Sounds like you had a nice relaxing day. Very nice to meet your new friends too. Can’t wait to hear how your first movie experience turns out. Enjoy!